When it comes to fitness, yoga is one of the leading choices today. 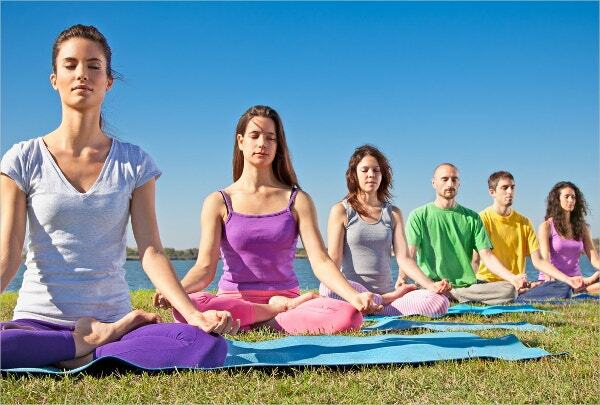 The popularity of Yoga has led to an increase in the number of yoga centers and yoga studios as well. If you are planning to start one, then you can reach out to your target audience through a well designed website. 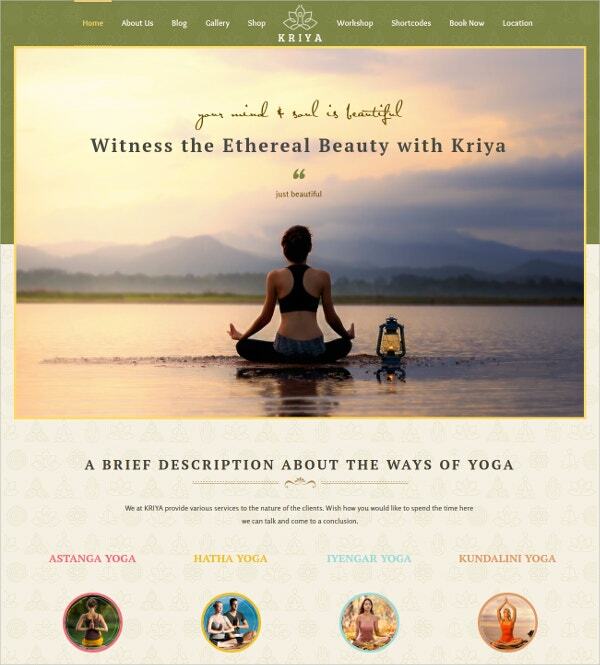 To create such official websites, you must take a look at the wide range of templates below. These have been designed specifically to go with the theme. You may also see Fitness WordPress Templates. 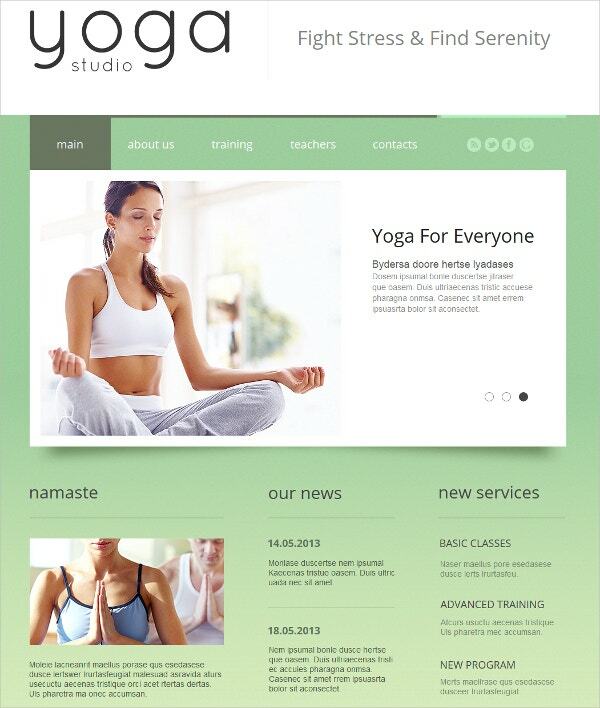 This web theme template would be perfect for any yoga studio planning to start an official website. This template would help your website remain informative and interesting. It would also leave a lasting impression on anyone who sees it. Also, the template here is fully editable and customizable. You can also see Sports WordPress Templates. 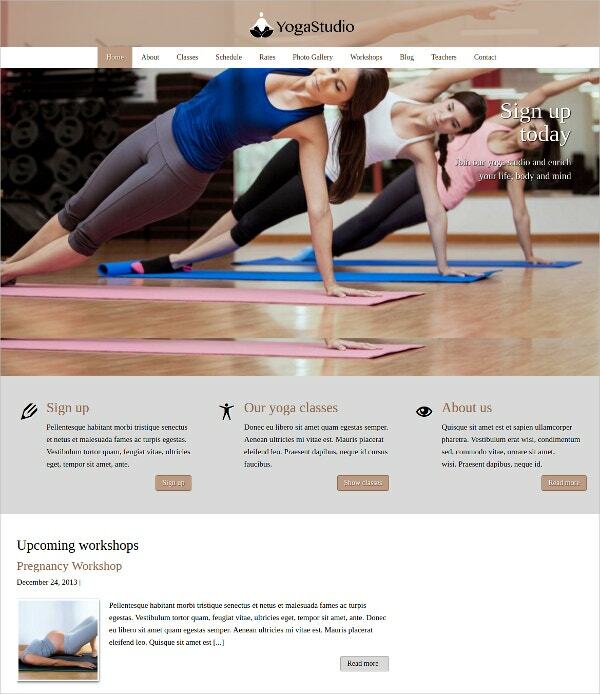 This is a fitness themed joomla yoga club theme template. The template you see here is fully editable and customizable. Most importantly, it comes with a responsive layout making it both user and developer friendly. You would also be getting six different color styles here and short codes as well. 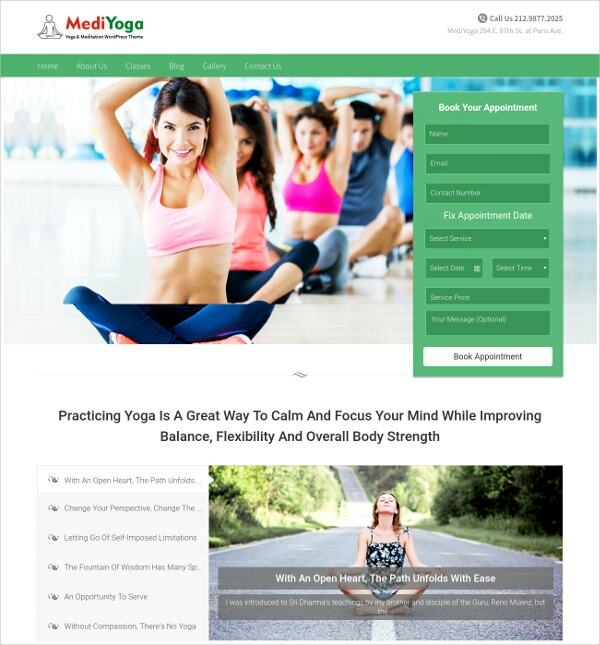 You may also see Yoga Studio WordPress Templates. 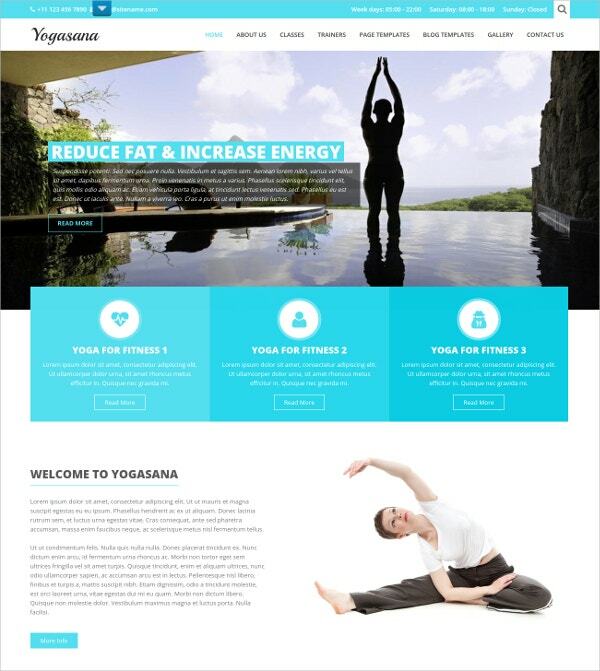 This fitness theme web template comes with a wordpress plugin. Also, the colour scheme used in the template is sure to appeal to you. It is attractive and looks great when applied to your website. Plus the template comes with stock images that you can make use of in your website. This is a fitness and sports theme web template that comes under the banner of wordpress. Each template provides high functionality and would be great if you’re planning to start either a website or a blog. You can download the template and then modify it to suit your details. A website of any kind must be responsive. It needs to be user friendly and offer your users a seamless browsing experience. This theme template can help you do that. Also, since this template is very easy to edit and customize, it is going to be developer friendly as well. 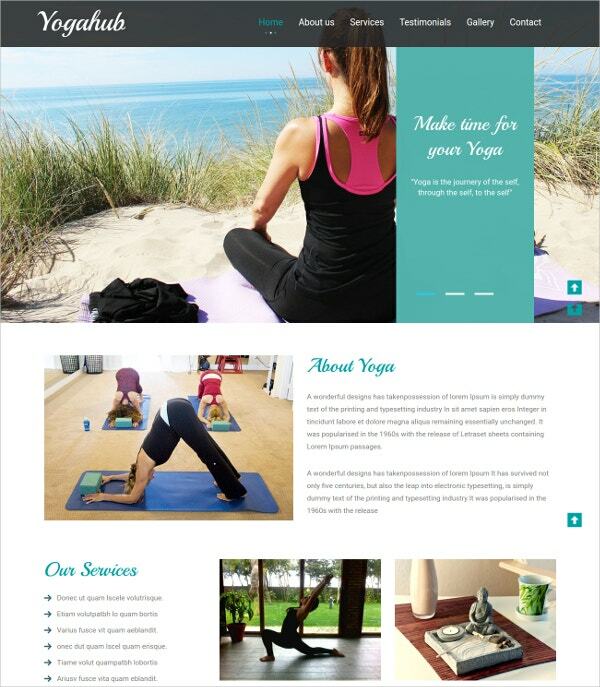 This is a responsive template that is dedicated to fitness themed websites and blogs. The template would certainly make your website easier to navigate through. Also, you can download the template and then edit and customize it to make sure it goes with your needs. It is neat, organised and well designed. 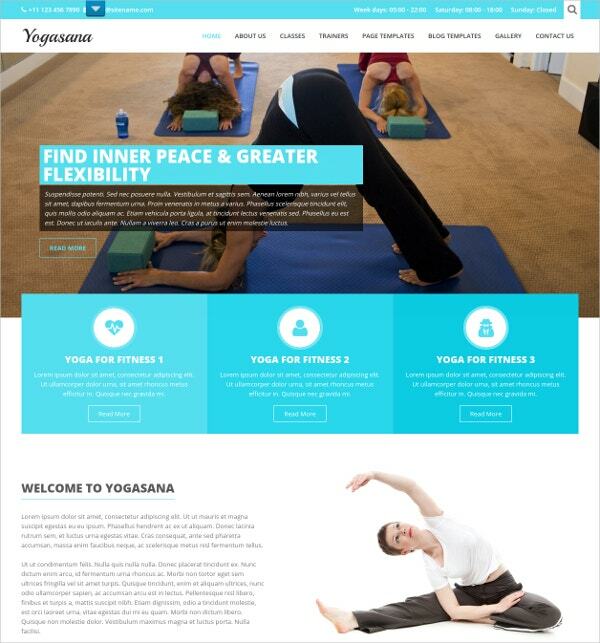 This template has to be one of the best examples of yoga and fitness web themes because it is 100 % customizable. Each aspect of the theme that you can see on the template is customizable and can be modified. For instance, you can edit the fonts, the backgrounds, the colors and also images. This web theme template allows you to retain the stock images that you see in the demo mode. However, you can even remove these images and add pictures and graphics of your own choice. Similarly, the textual elements that you see in the theme template are fully editable as well. Yoga is all about establishing a sense of peace and serenity. Well, that is exactly the kind of impression you get with this template. It is beautiful and gorgeous in appearance; not to mention the fact that the template is well designed, neat, organised and comes with a clean interface. 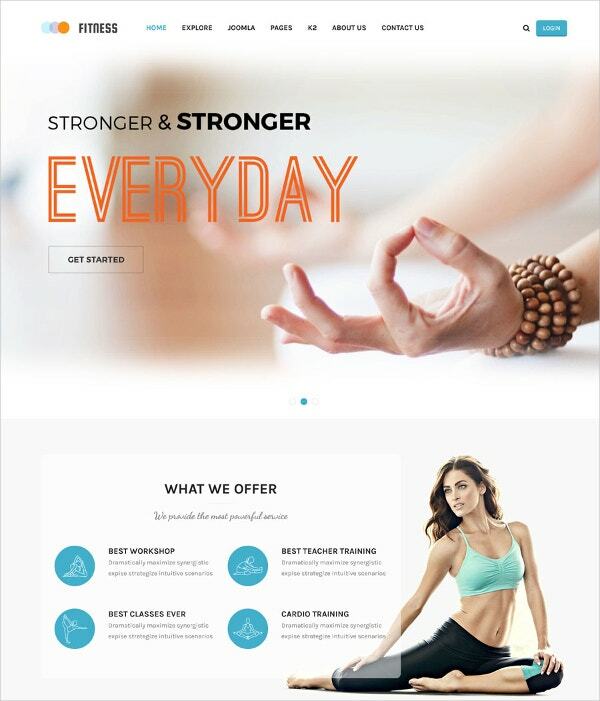 Fitness care center, clubs, gyms, health organisations, fitness clubs et cetera would be able to use this web theme template to create their official website. First and foremost, you can add the various blog posts you’ve published, then the testimonials, your services, social icons and so on. You can also add an about page with this template. 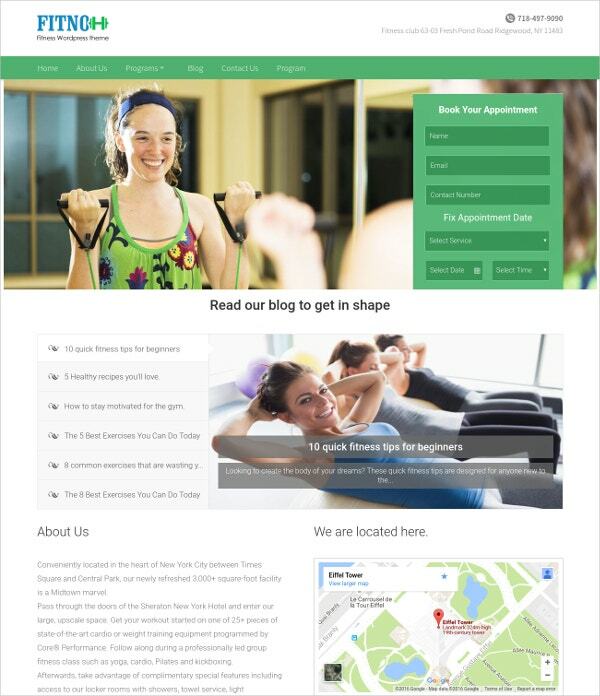 This theme template can be used by various gyms and fitness centers to advertise their services. For example, you have ample space here to mention your services and offers and also give details about your business. You can follow that up with relevant images that would add to the aesthetic value. This web theme template comes free of cost, thus allowing you to experiment with it. However, you wouldn’t have to compromise on quality because the fitness theme template has a very modern and clean interface. That is surely going to appeal to your audiences and win over customers for you. 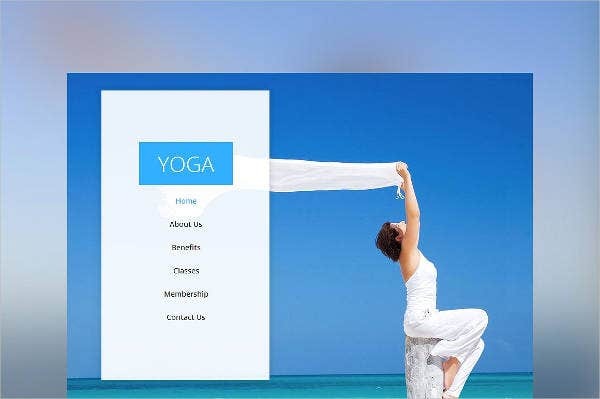 This yoga theme wordpress template would be perfect if you want to advertise your services. You will have sufficient space where you can incorporate all the details of your services. Also, the theme template has been made SEO friendly so that users and prospective customers can locate you with ease. 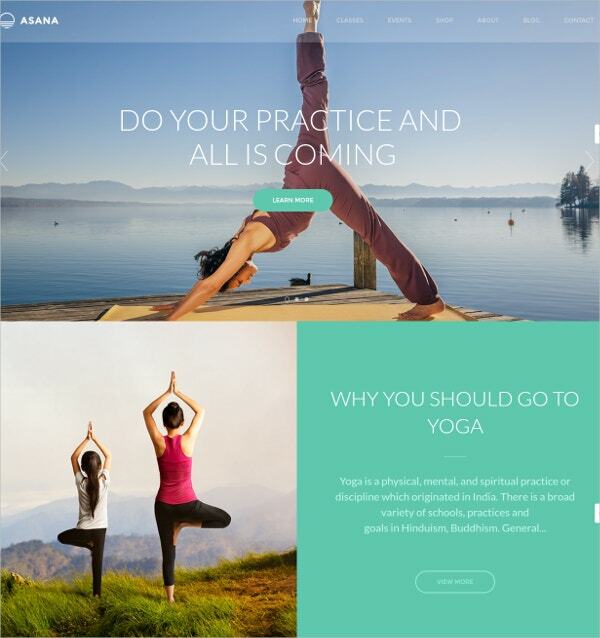 To show your love for yoga and meditation, you need to get your hands on this fitness theme WordPress template. It is 100 % responsive and editable thus making it very easy to use. That would make it easier for the developer to modify the template as and when the need arises. 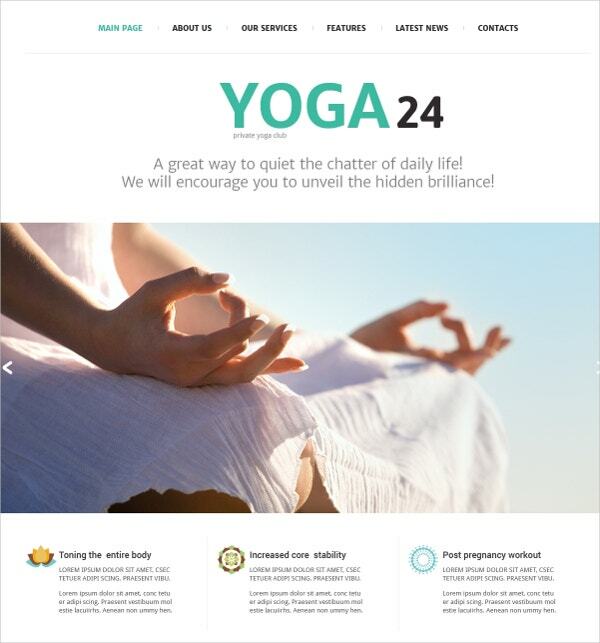 This theme template gives you all that you could possibly need for a yoga themed website. It comes in bright and attractive color schemes which can be customized. Also, the template has a smart and professional touch. You get to organize your information in the form of grids and columns. 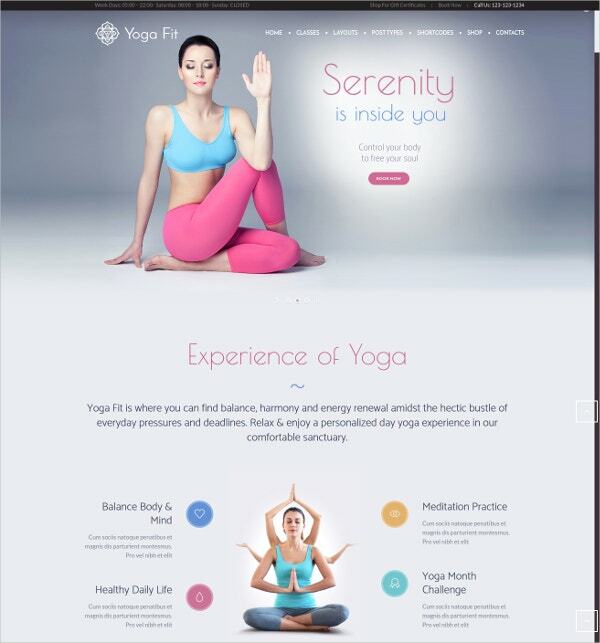 This yoga themed web template would be perfect for any website or blog that belongs to a yoga center, gym, fitness and health related clubs, dance studios and so on. Each element or detail on the template is designed in such a manner that it is easy to customize and edit. You would be able to edit colors, fonts and backgrounds. 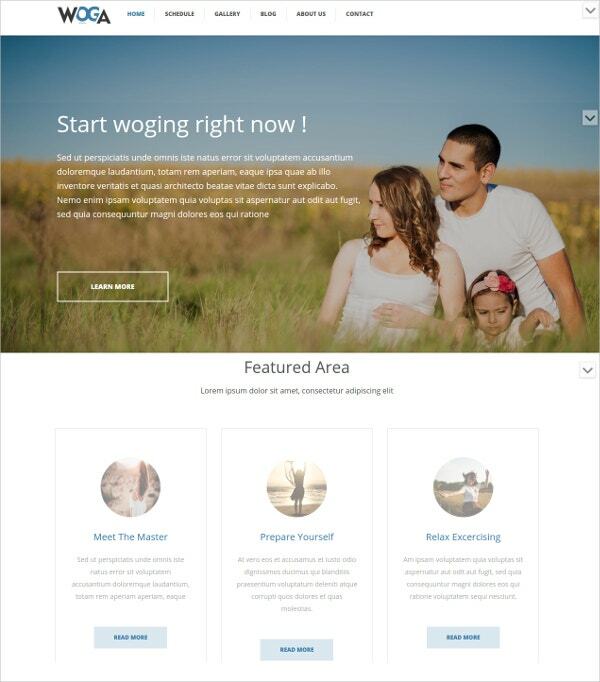 This is a WordPress theme template for your website and blog. While most of the template is either covered in images or text, it still looks bright and smartly designed. That is because the theme template comes in a responsive layout that is easy to use and edit as well. 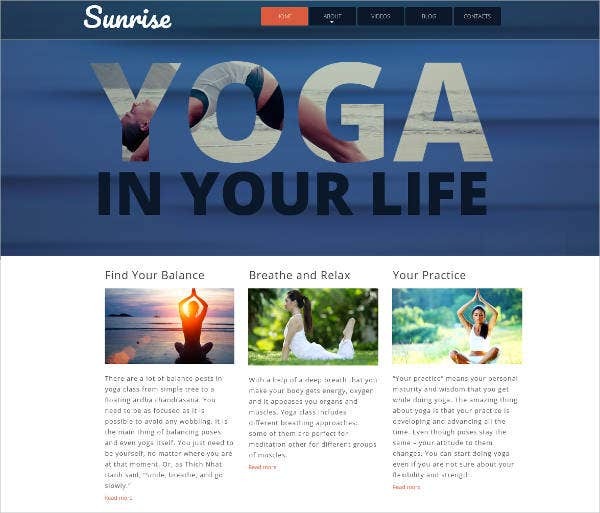 Each of the yoga and fitness theme web templates that you see here come in a variety of different formats. These formats make the templates both user and developer friendly. Since they all have responsive layouts and customizable fonts or backgrounds, it would be very easy to update your website from time to time. You can also see Fitness Joomla Templates.